Theresa May’s first proper question at this week’s Prime Minister’s Questions was about whether the government would spend more on Britain’s infrastructure. You might have taken her answer, then, to refer to government spending. But the Treasury told us they get to this figure of a quarter of a trillion pounds by adding together public and private sector investment in Britain’s infrastructure. They haven’t published the full methodology. 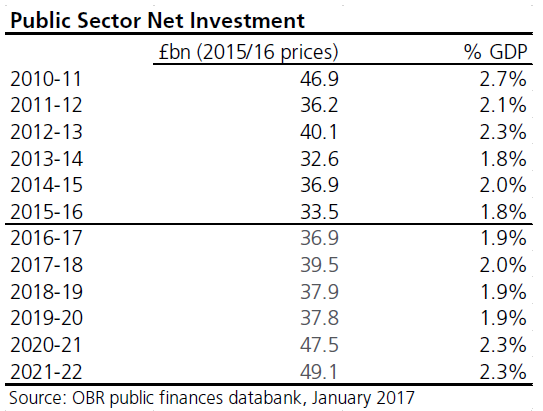 As we can see, government investment as a share of national wealth was cut year-on-year several times under the Conservatives, but it is predicted to rise to 2.3 per cent by 2020. The current government has promised to “protect” – that is, to not cut – police budgets in the current parliament, but this claim is arguable. The money police forces get from central government has in fact been cut, and they have had to increase the share they get from local council taxes to make up the shortfall. After doing this, the total amount forces have to spend has remained “broadly flat in cash terms”, according to the Institute of Fiscal Studies. 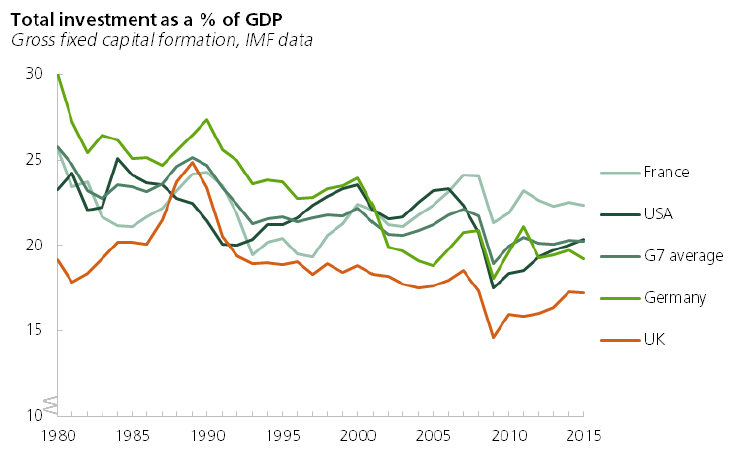 This means revenues have continued to fall in real terms (adjusting for inflation). And the continuing real-terms cut comes after a 14 per cent fall in real terms spending in the last parliament, the think-tank adds. 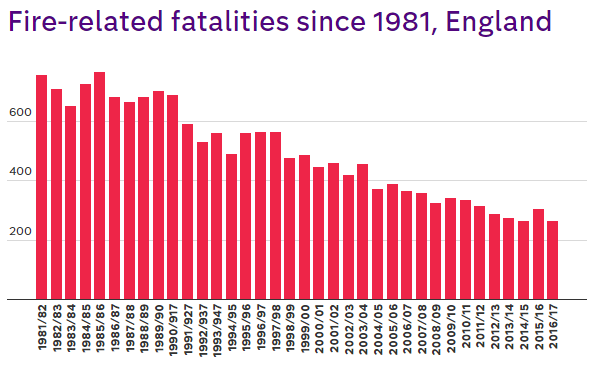 The number of firefighters has actually fallen by around 8,500 (full-time equivalent since 2010. Labour told us that Mr Corbyn meant fire service staff overall, who have indeed dwindled by more than 11,000. Has this cut come during a time of rising threat to life from fire? Not if you follow the long-term trend in the figures. This means the victims of the Grenfell Tower disaster in June are included in the figures, which massively increases the overall death toll for England in 2017. These statements sound completely contradictory, but they reflect the simple fact that there are two main measures of crime in this country, and they tell us different stories. Jeremy Corbyn is quoting statistics recorded by the police, and it’s true that in those figures, overall crime and violent crime are on the rise. Theresa May prefers to quote from the Crime Survey for England and Wales, which says the opposite: crime – including violent crime – is falling. The two data sets measure different things, and both have their weaknesses. The Crime Survey is based on a questionnaire, with members of the public asked whether they have been the victim of a crime, regardless of whether they have gone to the police or not. Police figures can only show crimes that have been reported. The figures Mr Corbyn relies upon are considered so unreliable as a true measure of crime that they lost their designation as an official national statistic in 2014, although they are still published alongside figures from the crime survey. ONS statisticians say rises in police recorded crime reflect a number of factors including “continuing improvements to recording processes and practices, more victims reporting crime, or genuine increases in crime”. Mrs May prefers the survey – but this does not count some of the most serious crimes like homicide, and sexual offences aren’t recorded in its main tables.